Can’t Get Your Real Estate Offer Accepted? Get prequalified and have a letter from your lender verifying your terms and financing that you will submit with your offer. Have your Realtor prepare a comparative market analysis (CMA) giving a value of the properties’ worth so you can submit a fair offer. A lot of buyers immediately go on the internet to search what the seller bought the home for, and how long they have been occupying the home, or what a web site believes the home is worth. What the seller purchased the home for is absolutely irrelevant! The only information that matters is what the market value is. Buyers feel they should try to decide how much a seller should make from the sale. Rely on your Realtors’ knowledge and skill, and don’t automatically assume because you have been watching some home show or what other non-experts profess that you know more than your Realtor. Most Realtors follow the market ongoing, and have a great deal of knowledge when it comes to buying and selling properties. If you can’t qualify to purchase the property, don’t attempt to low ball the seller, just to see if they’ll accept it. Don’t use the tactic that looks at all the bad issues dealing with the property. No house is perfect! Odds are you’ll just perturb the sellers and they won’t even respond to your offer and everyone’s time will be wasted. A lot of buyers want the “perfect house” on their first purchase. Choose what you can afford with the goal of moving up in the next 5-7 years. Make sure that your Realtor knows the area that he or she will show you, and the different conditions that affect the properties shown. How many sales have they done? Sit down with your Realtor prior to any showings to discuss your wants and needs for your purchase and the time frame you want to purchase. Don’t “window shop”! This should be a serious endeavor that will lead to one of the most important financial decisions you will make in life. When the Realtor knows what your wants and needs, go on tour of some homes. In most cases, after you see 5 homes, you’ll know what you want. You do not need to see 25 homes before you make a decision to submit an offer. Usually, you’ll know in the first 15 minutes that this is the home for you. Go in with the frame of mind that knows they’ll be, “crisis” in the transaction. Try to keep the drama down! In the 15 plus years that we have been selling real estate in 2 different states, we rarely have run into a transaction that doesn’t have some obstacle. In most cases, the issues work themselves out. Last, but not least, do your homework! Check the HOA fees if any, the CC&Rs’, taxes, building restrictions, improvements to the property, and be sure to inspect the disclosures. Check the community for schools, transportations, stores and restaurants, etc. 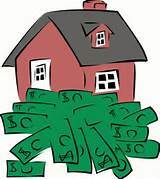 Have the property inspected by a qualified home inspector as soon as possible after escrow starts. This information will help you make an informed decision and successful purchase. Knowledge and experience pays off! Call us (Rich and DelAnn Lozzi at our Southern California phone number, (949) 525 3766 and for Prescott, Arizona, call us at (928) 525 4356). We will be happy to represent you to get the home you want!